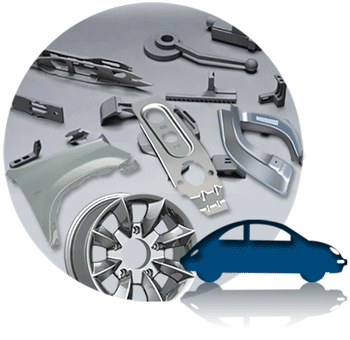 Oil Filters, Brake Components, Sub-assemblies, Tractor Components, Suspension for Automobiles, Various types of Clamps and Brackets & various kinds of Auto Components. Steels for forming quality as JISG3141:2005 grade SPCD. It can be taken as equivalent to IS513:2008 grade `CR2`. TDCs for this segment are AU03, XA31, XA37 and XA40. The following table gives typical mechanical properties of these TDCs.